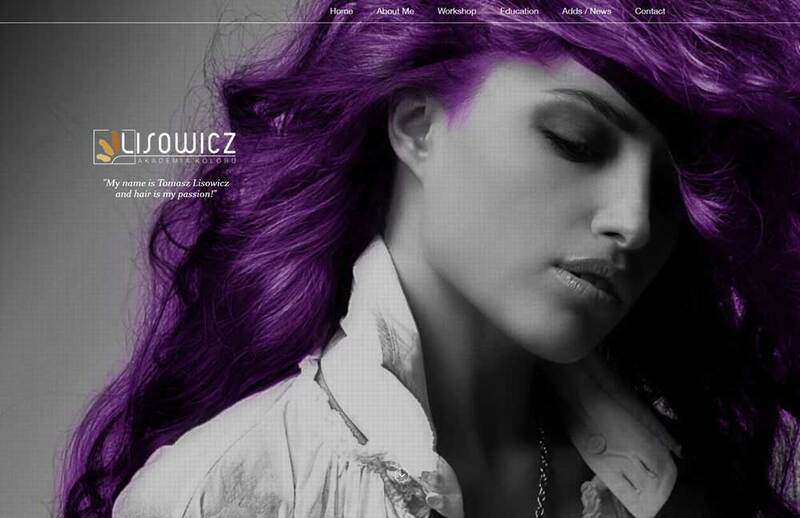 Lisowicz new website was created for the Hair Salon servicing customers in Warsaw. Mr Tomasz Lisowicz is very passionate individual. He wanted us to show this on his new website. Our proposal included large striking images and colour scheme that matches his logo design. For the main website colours, we have chosen gold and 2 shades of bronze. This website consists from the main page, news, gallery, services and contacts page. Although the project looks like a small development, we have to be extremely precise in choosing colours, images to build this website and maximise its potential. As a perfectionist, Mr Lisowich set very high standards. Ahead of our development, we have analysed every small detail of the existing website and set our design standards to very high level. To fulfil all the requirements we have to produce extensive graphics manipulations on the images provided by our customer. For example, we have converted a purple hair on the main image away from the blond colour. Mr Lisowicz also requested for the gallery and news to be built in WordPress and have the Pinterest layout. What a great fun we had with creating this website! It’s a pleasure for us to work on the web or apps projects with individuals that now their style. If you are a company or individual and you looking for the specialists that can take your existing website to the next level, please feel free to drop us an email. As a team, we’re strictly following the guidelines and allocated budget! Do not compare your project with your friends’ website or competitors quotations. We will always discuss website functionality versus an allocated budget, so there are no hidden costs and nasty surprises. Simple portfolio website can cost just £299 including year hosting, SSL certificate, and company email.